"I put my home on the market as a For Sale By Owner. I got a good bit of interest but no buyers. I had over 25 real estate agents contact me and probably 10 people call with an interest in the home. I had 3 people come and tour the home. I priced my home based on my understanding of market. I decided to use a realtor to help sell my home because my retirement home was nearing completion. I did some checking with friends in the area and narrowed down the potential realtors to three. I interviewed all 3, checked their references and I chose Lee Holtzman of RE/MAX Advantage in Lewisville Texas. After interviewing several agents I chose Lee because he was very straight forward, he had done a good job of detailing the comparable homes in the area and he struck me as a go-getter who would stay active on the listing. I made a very good choice in selecting Lee. He showed me where my evaluation of the house was a little high if I wanted a quick sale. We ended up listing our home at his suggested price range and sold the home in less than 3 weeks. My home sold because Lee was very honest and thorough every step of the way. We are extremely pleased with his performance and would highly recommend him to everybody. I have given Mr. Holtzman my phone number to use as a personal reference. Feel free to call me. "I am a professional, and in all my years of handling professional services, I have never been so satisfied as I have with Lee's honesty, integrity, professionalism and down right "common sense"!. My home was listed with 3 other real estate agencies before Mr. Holtzman listed it. Of all the agents, Lee was by far the most aggressive, honest and thorough! Mr Holtzman was consistent in keeping me updated with follow up and there were "No Surprises"
After the real estate transaction, I now realize the importance of NOT listing with family, friends or acquaintances. Lee treated my home as if it were his own and that sure came in handy while I was out of town and needed to make important decisions regarding repair work a few days before closing. If it were not for Lee's quick thinking and perseverance, my home would not have been closed. The one thing I will always remember is that on Lee's anniversary, with a house full of guests, he came out to my house when there was a problem and took care of it. I got the most money for my home with the least amount of hassle in a reasonable amount of time. I could not ask for anything more. I highly recommend you to anyone thinking about selling their home. "I would like to thank and commend Mr. Holtzman for the sale of my home in such a short time. With the market in the state it was, I was really concerned about getting a sale within my time limit, but he came through for me so that all my plans were able to fall in place. Not only is he a talented realtor he is a genuinely sincere human being. Lee's patience, integrity and honesty are characteristics not easily found in this day and age. I would recommend Lee Holtzman anytime!" "I never even saw my realtor until closing." It sounds horrible, unless you understand that this is exactly what I asked for because I lived an hour away. Lee handled my house sale completely over the phone and fax lines as I requested. I had originally listed my home with another realtor wasting six months and thousands of dollars before listing my home with Mr. Holtzman. Within a week Lee had a contract on my home for asking price and we closed the sale in 37 days from the listing date. I have given Mr. Holtzman my phone number to use as a personal reference. Feel free to call me." "We can't thank Mr. Holtzman enough. After being listed with another agency for just 3 short weeks, it became obvious that our agent was playing a "numbers game" with us and hardly put forth an effort to get our home sold. We terminated our listing with them and went to seek another agent. After having a "sour taste in our mouth" with Realtors, we started interviewing agents, this time asking more questions and being "more aware". After we interviewed Mr. Holtzman we felt much more comfortable because he seemed very honest and very direct as the the "truth" of what we were to expect in the selling of our home. This is all we wanted - the truth. We listed our home with Lee and he was a man of his word. He did everything he said he would do. He had a contract for us in less than a week! During the transaction there were many issues that were borne by the other agent and the buyer but Lee handled them all very professionally and got us to the closing table with the lease amount of hassle. We were very please with Lee's follow up and continuous updates as to how many showings we had and what the remarks were. Mr. Holtzman worked very hard to make sure we were happy. The closing went as planned without any problems or surprises. We would refer Mr. Holtzman to others and will use him the next time we purchase a home." 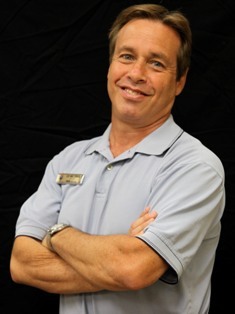 "Mr. Holtzman went above and beyond our expectations. Lee was true to his word and YES, he does answer his phone 99% of the time. He was so giving of his time and we felt we weren't competing with his other clients. Any problems that arose, Lee quickly and eagerly was on top of it. His vast knowledge in the real estate field was evident in our contract negotiations. We would like to thank Mr. Holtzman for being keenly aware of the details. Recently, our friend's contract on their dream home fell through because their realtor overlooked one detail. Therefore we have a greater appreciation for Lee and his attention to all the confusing details. Thank you for your outstanding service!" "I want to personally thank you for a job well done! We are finally getting settled in our new home, and the last of the unpacked boxes can be counted on one hand. Although selling/buying and relocating your family cross - country can be very stressful, we are convinced that you minimized this stress and actually made our brief relationship very enjoyable. Not that we wouldn't have minded having an extended relationship with you; the fact is, once we hired you - you brought us two offers in one week and we closed 30 days later. As you recall our first meeting, we were totally frustrated about our situation. Our home had been on the market for 80 days, had approximately 80 showings and had received one ridiculous offer, which we didn't accept. Time was running out and we had become very frustrated and disillusioned. We had even gone to considerable expense, having some home improvements done (which our first realtor had recommended against). It was during that time that one of our contractors told my wife that we had the wrong realtor and his friend Lee Holtzman could sell our house immediately. Needless to say we were a little surprised by this and the fact that we had so many showings, what could Lee possibly do that our current realtor wasn't? I want you to know that we were pleasantly surprised! The value of putting a sign in the front yard, waiting for the phone to ring and then showing the property to a poorly qualified looker, is a loose - loose for everyone. You changed the paradigm. I believe the key to your success is that you figured this out a very long time ago. We were impressed with how you listened, remained focused, asked very - good questions and then acted with our best interest as your primary concern. Throughout the entire process, you communicated with us (as you first said you would) and did an excellent job in helping us structure a Win - Win scenario for everyone involved. It should come as no surprise that this is how you've earned the confidence and respect of your clients, fellow realtors and my family. One hidden cost of our relationship hash been my wife's new addiction to Sushi. When I promised you that if/when you sold my house - we would have a Sushi - Fest, I had no idea that my wife would have enjoyed it so much and become addicted. In fact, knowing that you love Sushi as much as you do, we first thought that our offer might have contributed to your intense motivation. After considerable thought, we realized that wasn't the case and have given you a new nickname, 'Turbo - Lee' aka, 'No Surprises' Holtzman. Thanks again for delivering on your word, getting us back home and a job well done!" "Thank you so much for the wonderful effort you put in to getting us out of a difficult situation and into a home that not only fits our needs, but goes beyond! You made everything work out perfectly, but I know it required a lot of "behind the scenes" effort on your part. You went above and beyond the call of duty while you were on vacation! Thanks again! When the fruit is ripe, feel free to come pick!" "Thank you for all the hard work you put into helping us close on our new home. You are the first real estate agent with whom I have worked that is truly proactive and seeks to do the best for his clients. It was impressive to observe how you were instrumental in every facet of the process to insure that we received the things we wanted or when others involved forgot things, making yourself available even at the most inconvenient times, treating us with respect, caring about our finances, bending over backwards to make us happy, connecting us with the right people, talking us through the different processes, negotiating fairly, and staying in constant communication with the sellers realtor. You havea tenacity for which I admire from finding the right house to closing on the house as you did in our case. In addition, it meant a lot to me that you worked with us over the Thanksgiving and New Year's holidays and you were understanding of the fact that those were the times when we were in town. You are the Number One real estate agent in my opinion and an all around great guy! We are very excited about resettling in North Texas and transforming our new house into a home and safe haven for our family. There are a lot of things that we plan to do as time and finances will allow but right now we are enjoying just imagining the different possibilities. We met some of our new neighbors this past weekend. They are friendly, down - to - earth people who we look forward to getting to know better." "Thank you for helping me with the sale of my previous house and the purchase of my new home. This was a major goal in my life and your assistance with the process was invaluable. I remember seeing you approach my front porch last April when I opened the door to pick up a package. You had come by to deliver information regarding the sale of my house. Although we had met long ago, our conversation that day convinced me that you were serious about quickly completing my sale. The information your presented showed me that you had already researched my home's position in the single family home makret. I was pleased to see that you were organized, efficient and that you meant business! This made the decision to sign with you very easy. Your professionalism continued as you helped me properly prepare my home for sale. And the time you spent preparing me for what was ahead proved to be vital as the process unfolded. While driving around one Sunday afternoon, I found a home I wanted to see and you immediately made arrangements for me to tour the property. When I walked through the front door, I knew it was the house for me! We both knew at that moment that we were in a new and more complicated situation. You quickly arranged a contingency contract with the seller's agent and that turned out to be the perfect situation. But the pressure was on to sell my existing house so I could purchase the new one. My prayers were answered soon thereafter when you called to tell me that you had found a serious buyer for my house. Even more miraculous was the fact that you were able to arrange the closing on both homes on the same day. That's when the pace of my sell & buy process accelerated and I became frantic over all the details and transactions. You on the other hand, remained calm, steady, and professional throughout. Your assistance with the contracts, loan applications, inspections, moving arrangements and all the other minutiae calmed me down, kept me focused and reassured me that I had chosen the perfect realtor. You even resolved a last minute deal breaking issue to everyone's satisfaction. I couldn't have been more pleased with your skills and ability. I will confidently recommend you to my friends and family. I truly believe you provide the most comprehensive home buying and selling experience hands down!"